Le Chameau's Chasseurnord combines the exceptional design and craftsmanship of the Chasseur, with an unbeatable neoprene lining for the cold winter months. A double layer of cushioning neoprene is added under foot for unbeatable warmth and comfort. 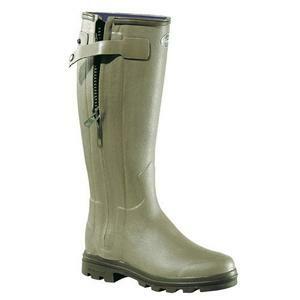 The Chassuernord also features the a full-length zip as well as the Le Chameau dual density sole.